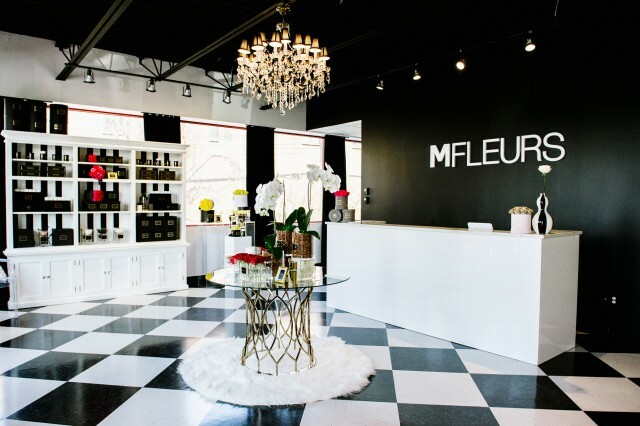 Mfleurs, the original creators of boxed flowers in Montreal, just opened their first retail store in Ville St-Laurent (9260 Henri-Bourassa West). 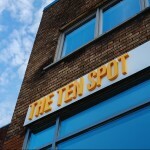 Their new location will tingle your senses in every way! 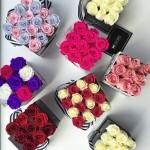 Boxed flowers fill the beautifully chic space that resembles the walk-in closet of your dreams. It gives clients the opportunity to see and feel a complete line of their products. The retail store seeks to cater to all your event planning needs in one stunning space. Like any time we make big decisions, we need coffee. 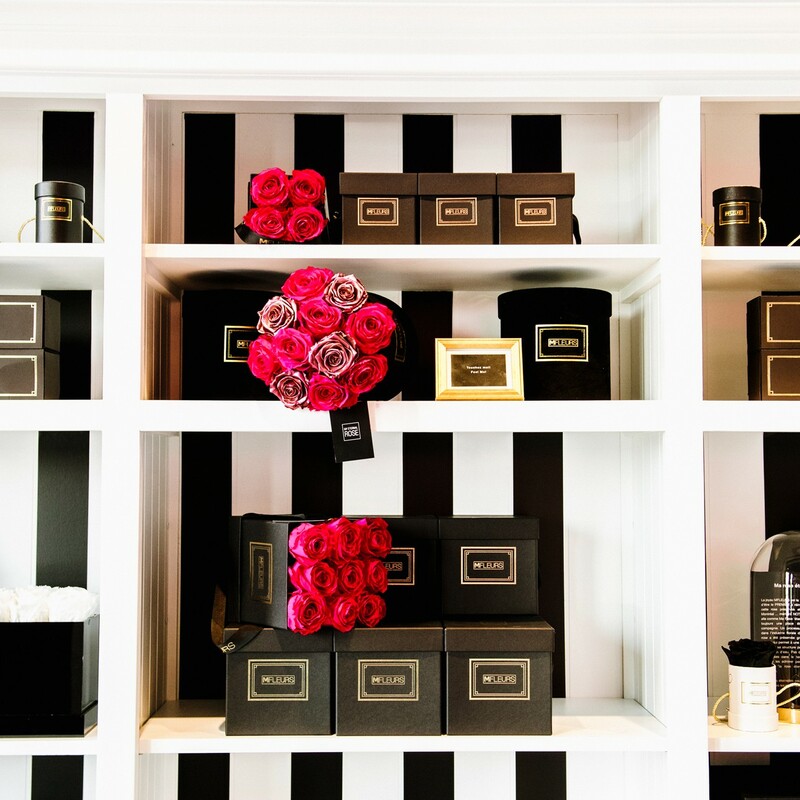 Rose Café is a wonderful addition to the space that serves coffee, champagne, and macaroons (what! ), taking your shopping experience to the next level. The Mfleurs location shares its home with Balloon Bar, where balloon stylists are ready to meet all your personalised balloon needs. 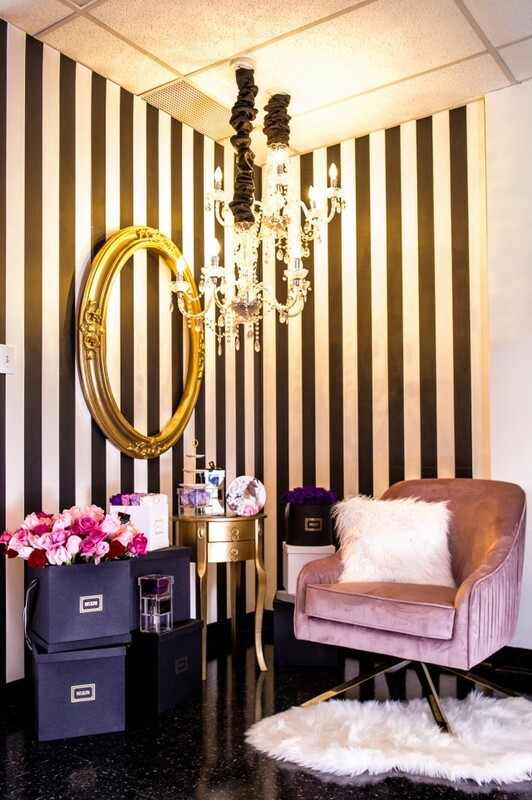 The boss ladies behind the brand are also event planners and thus their vision with the new location was to create a space where all one’s event needs can be met under one roof. Their personalized approach will allow any of your dream events to become a reality. 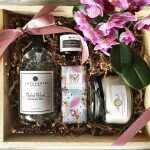 Mfleurs is more than just roses in square boxes; they now offer boxed orchids, beautiful round-box arrangements, and scented arrangements where you can add fragrances to their eternal roses. Just in time for Mother’s Day! Don’t stress when it comes to event planning and decorations: grab a coffee and let the pros(e) guide you through it.